Best-in-class companies have made data analytics a part of their DNA for a reason. In today’s digital marketplace, the nature of the game has changed. The traditional sales model of cold calls, followed by lead qualification and product demos, is now complemented by social networks, online engagement, and education. It is the same for marketing and customer service. 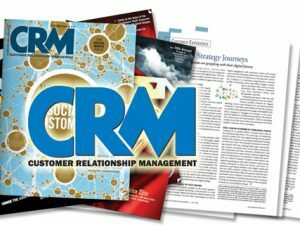 To succeed, business decisions must now be made based on an enhanced understanding of customers’ preferences and behavior in both online and offline environments. To have meaningful business impact, a data analytics program must be closed-loop. Campaigns must be measured, and continuous improvement must take place in support of established business goals and strategy. It must also be based on data of high quality and integrity. Data needs to be accurate, complete, reliable, accessible and timely. This is not always easy to accomplish, but it is a prerequisite for a successful data analytics program. Measurement: engagement via pages views, posts, polls, etc. Closed-loop data analytics are achieved with products like Identity Link® from LiveRamp, which tie together CRM data, transactions, cookies & device IDs into a single customer profile. This allows the company to accurately attribute sales back to both specific tactics and media (mobile, TV, display, etc.). To learn which tactics and strategies are best to drive offline transactions and how to invest marketing dollars in the future, companies are also increasingly enlisting help from measurement companies like Marketing Evolution. 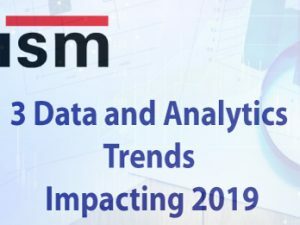 For more than 30 years, ISM has worked closely with world-class B2B and B2C companies like Jaguar Land Rover, Zumba, Kraft Foods, and Pacific Life on data analytics and customer intelligence projects. Our offering covers the spectrum – from data strategy and management to sales, customer-service and marketing programs that leverage historical, real-time, and predictive analytics and modeling for both structured and unstructured data. We work with our clients to first identify and acquire the right data sets. From there, we determine the right analytic approach to develop new ways to explore and exchange data, drive better insights, increase business revenue, and create happier, more loyal customers. 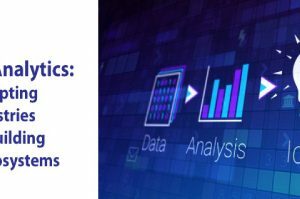 If you have yet to make data analytics part of your company’s DNA or wish to enhance the analytical capabilities you already have, we would welcome the opportunity to assist. Barton Goldenberg speaks about changes and trends in the ways organizations engage with today’s connected consumer. His real-world examples and humorous style have distinguished him at events including the Gartner 360 Customer Summit, Dreamforce, CRM Evolution and others. Barton is founder and President of ISM Inc., where clients include Chase Bank, ExxonMobil, Jaguar Land Rover, Johnson Controls, Kraft Heinz, Marriott, Nike, Schlumberger, T. Rowe Price, U.S. Department of Defense, Zumba Fitness and many more. An acclaimed author, keynote speaker, and member of the CRM Hall of Fame, Barton holds a B.Sc. (Economics) degree with honors from the Wharton School of Business and a M.Sc. (Economics) degree from the London School of Economics.on, always-connected’ consumer.